It’s that time of year when the weather gets a bit colder and folks are a bit more cheerful. It’s the holiday season! Along with hectic shopping and eating too much, travelling to see loved ones is at the top of the list of things to do. Whether or not seniors are able to travel, an innovative home care system or home care software can give family members ease of mind when seniors are either travelling or staying home for the holiday season. Agencies that use a home care system or home care software can also take care of seniors who are unable to travel during the holiday season. Families of these seniors can really be at ease if they know an agency uses a cutting-edge home care system or home care software to schedule their caregivers. A pioneering home care system or home care software makes it easy for families to stay in the loop and make sure their loved ones are being cared for via secure web log-ins to check care logs and constant monitoring by agency administrators.. In the case of another senior, Rene, travel is no longer an option due to her progressing dementia. 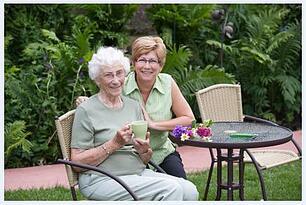 However, because the agency her family uses for in-home care utilizes an innovative home care system and home care software, such as ClearCare, she is able to relax at home. Rene’s family is also able to have peace of mind knowing she is being cared for while they enjoy their typical traditions. This year, whether your elderly loved ones are going on the road with you, or staying back home, a reliable home care agency coupled with ClearCare’s homecare software can ensure that everyone has a very merry time.